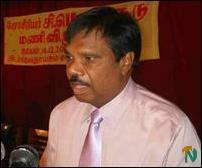 Past Principal of Teachers Training College, V. Kanagasingam, presided the event. Publication titled 'Mounam' (Silence) containing writings and poems praising the contributions made by Prof.Mounaguru to Tamil was released during the celebrations. District Secretary and the editor of the book, V. Thevarajah spoke about the book after the first issue was presented to Prof.Mounaguru. 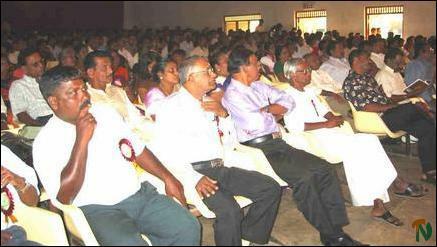 Sinhala film director, Dharmasiri Bandaranaike, participated as a special guest to the event. 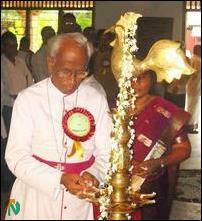 "Prof.Mounaguru is respected as a scholar even in South India. 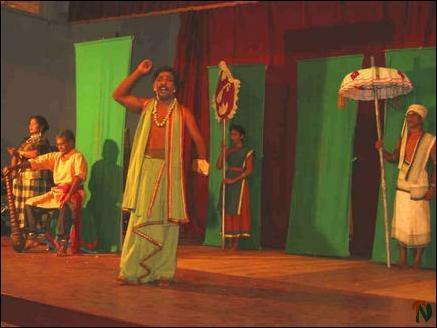 He revitalized the disappearing Street Drama ("Koothu") by introducing it to the interested students in the fine arts department of the Eastern University. 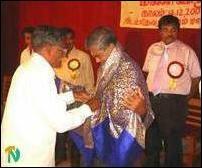 From 1993, as Professor of Tamil, he has been contributing to the growth of Tamil language and culture," said Mr. Mounaguruswamy. Director, Dharmasiri Bandaranaike, Deputy Head of Eastern University, Prof.C.Raveendranath and Professor of Literature, S.E.Kamalanathan also spoke. Mr.Nadarajah gave the vote of thanks following the conclusion of a drama directed by Prof.Mounaguru.